A illustrated explanation of what an Autism Mom is – and what it is not. The innapropriate grammar of this situation makes me very uncomfortable, but I think ya’ll can look past that and see the point I’m making. 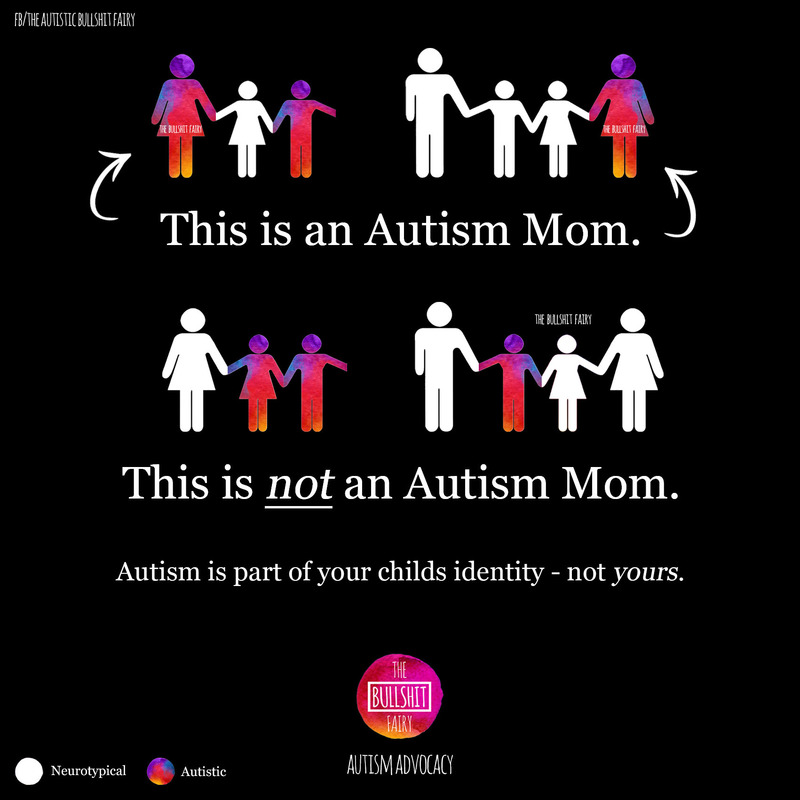 Autism is part of your child’s identity. Not yours. This is targeted to those mothers who are martyrs to the cause and play their tiny violins to each other about how awful and hard their life is, because they have an Autistic child. Yuck. Your child is not a burden and how dare you make this all about you. You don’t get a medal for having a disabled child. You don’t get recognition. You are a mother. Quit whining and just love your child, and yourself, for who you both are.